Are you considering booking your first cruise? 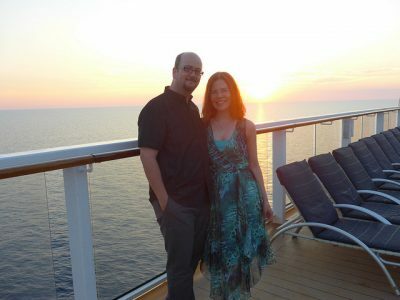 Maybe you read my ‘10 reasons why I love to cruise‘ post and thought, cruises might be for you too? Don’t know where to start? Let me help. You may also have a fellow cruise fan in your circle of friends who can give you an introduction to cruise holidays. That failing, there will be cruise specialists travel agents you can talk to. I strongly recommend chatting to a cruise specialist rather than just an average High Street travel agent. And of course you’ll find plenty of help from online communities like Cruise.co.uk forum and CruiseCritic boards. But before you get to all that for your holiday research and booking, here is your introduction to cruise holidays. Or your cruising 101, if you’re from the US. From a UK perspective, this is Southampton departure versus flying to the Med/Caribbean/rest of the world for your cruise. If you or your cruising partner is afraid of flying, getting the train, coach or driving down to Southampton is the obvious option. There is a limited number of cruises on smaller ships available from other ports like Liverpool, Newcastle, Tilbury and even Greenock but for the UK our main departure port is Southampton. 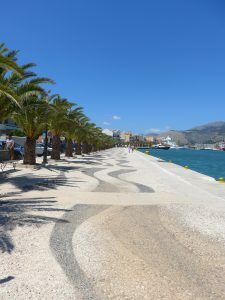 Naturally, UK departure sailings will have more Brits onboard but you will also have a reduced selection of holidays to choose from – there will be more choice available from the Med.. or Florida. 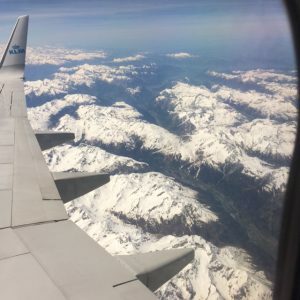 Southampton will be the obvious choice for those who don’t like to fly, but if you’re headed to the Med, it means having to cross the Bay of Biscay. And you will spend x amount of days travelling to get to sunnier climes. 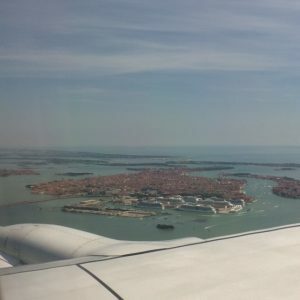 Those of us living in Scotland and in the north of England, for the time and cost associated with travelling to Southampton, we can probably fly to Barcelona, Rome or Venice and sail from there. You get more port days in a 7-day sailing and see more of the Med that way. I’m a firm believer in fly cruises and have never sailed from Southampton – yet. 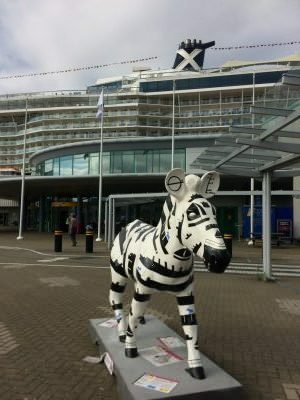 I’ve only visited ships there, hence this photo of the zebra outside Southampton City Cruise Terminal. Are you travelling with kids? Or maybe just friends or your partner? There is so much choice when it comes to choosing the right ship/company with whom to travel. Some are more aimed at kids with fantastic facilities, like water parks and kids’ clubs. Other ships are strictly adult only, like some P&O or Marella (former Thomson) sailings. Or in the case of Saga Cruises, not just adults but those over 50 years of age. Though if your mum wants to take you, as long as you’re over 40 you can accompany someone else as long as the main passenger meets the minimum age requirement of 50. 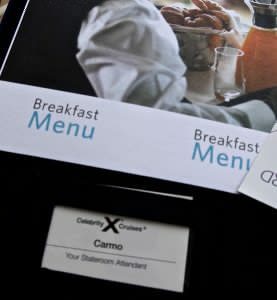 If you’re a young professional couple, looking for a romantic cruise on a modern luxurious ship, I’d recommend Celebrity Cruises to everyone. But for a livelier nightlife and a more mixed clientele, the sister company Royal Caribbean, Norwegian Cruise Line (NCL) or Italian MSC. Naturally, for those looking for a more British experience, there are P&O and Marella cruises. MrVegancruiser and I normally prefer the international mix of passengers on other ships. Yet, because of a particular itinerary, this summer we are giving Marella cruises a try after 9 years of sailing with others. 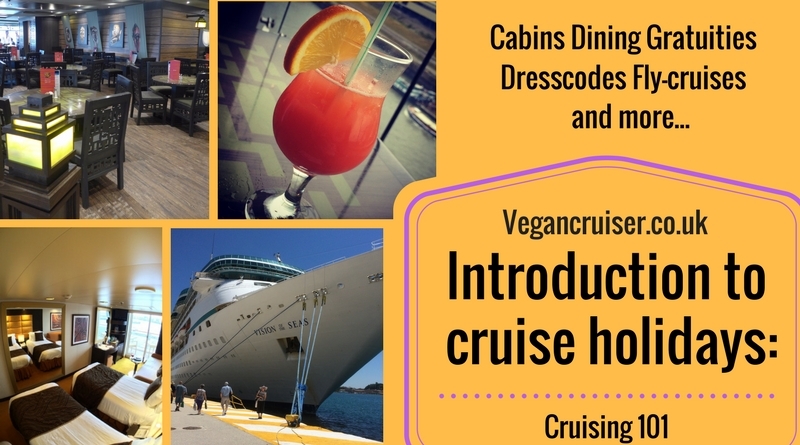 As much as I would love to see more of the Caribbean, the heat and calling at islands with beautiful sandy beaches would bore MrVegancruiser. 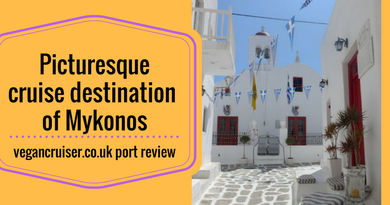 We tend to sail the Mediterranean which gives us access to small quaint ports (like Mykonos in Greece or my favourite Kotor in Montenegro) and bigger, both historically and architecturally interesting cities. The likes of Florence. Barcelona. Naples. Athens. So much more to see and do. 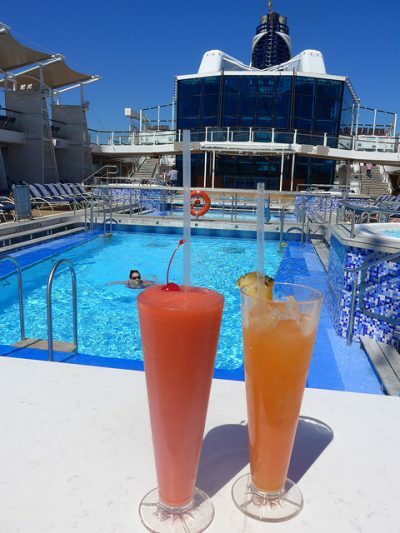 What do you want from your cruise? Pick an itinerary or cruise region that works for you. Beaches or cities. Ocean cruise vs river cruising. This is a contentious topic and there are so many opinions out there why you should pick one kind of cabin over another. Some insist on having a balcony is the bare minimum for an enjoyable cruise, while others say an inside is fine. 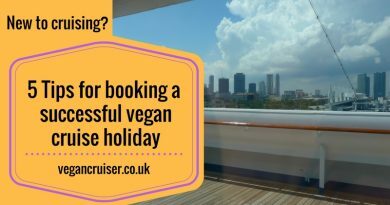 I’m a firm believer in insides (best sleep ever and good value) whereas MrVegancruiser prefers having at least an outside, if not balcony. If you are looking to cruise solo, I am sorry but is a lot less affordable choice available for you. Ships generally have only a handful of solo cabins and those are often booked far in advance. And much like on land-based holidays, single supplements can be very high. 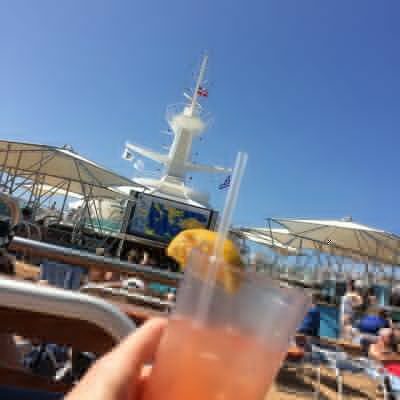 Do contact a specialist cruise travel agent for advice on sailings if you are looking to cruise solo. Cabins don’t just come in the above categories. Each has sub-categories that vary in price, depending on the location and deck. 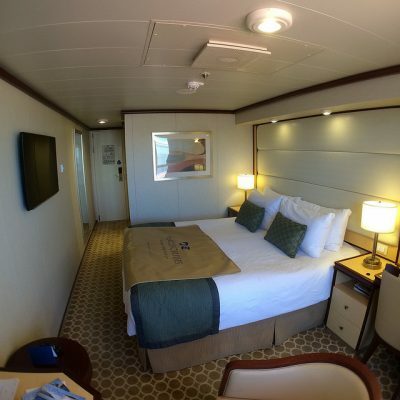 There is a lot of snobbery about cabins on lower decks (but they have their perks!) but locations can have an effect on your cruise enjoyment especially as a cruise newbie, but that will be a separate post. 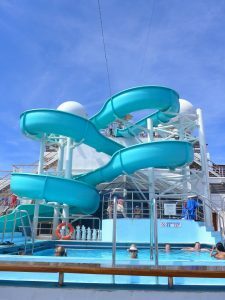 Cruises are fabulous value for money as they are full board, with at least the buffet and main dining room (MDR) included in your cruise fare, if not more. Maybe you’ve been put off by the traditional image of cruising, having sit-down meals at set times with same tablemates. That doesn’t have to be your experience, though. It can be, if you want to and surprisingly many people still do – I presume the older cruiser kind. 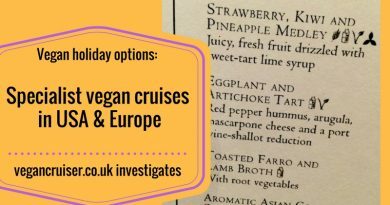 On our first cruise, MrVegancruiser and I dined in the buffet on most nights as we didn’t fancy the MDR menu (you can generally see it posted outside during the day). If you don’t want to be tied to the two traditional sittings (early/late) with same dining companions (or a table for two, if you so request) you can also choose Anytime/MyTime option. This will allow you to make a dining reservation for the MDR any time that suits you. 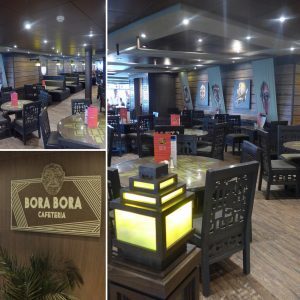 Alternatively, if you don’t care for waiter service and want to sample a selection of dishes, you can head to the buffet restaurant instead which has a casual dress code each night. 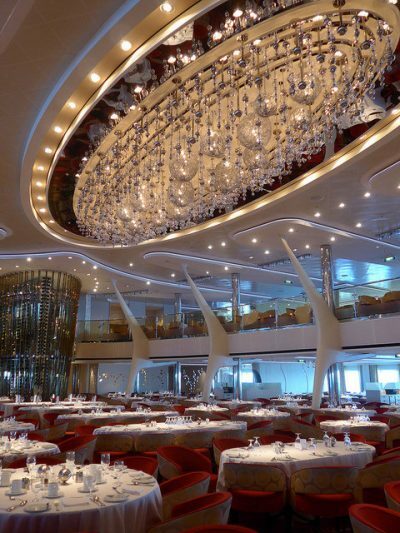 Some cruises are more formal than others. Book Cunard and blue denim isn’t acceptable anywhere on the ship after 6 pm. Even informal wear requires men to wear suit jackets, with tie preferred. Formal nights on Cunard are tuxedo & ballgown affairs. I cannot think of anything worse and you won’t find MrVegancruiser and myself on their ships. Sister company P&O is also quite traditional for their formal night but at least the 6pm curfew does not apply. Their American cousin Princess also have a suit jacket requirement for formal nights in the MDR. Should you opt to cruise with the likes of Royal Caribbean, Celebrity or MSC you will find the dress code requirement much more relaxed. No suit or suit jacket is required, just a smart shirt, trousers & shoes for men and something nice for us girls (ladies get away with pretty much anything glam). Here’s a hazy photo of us in something that passes as Royal formalwear… so not very formal. Perfect for us! On a weeklong Royal Caribbean cruise there normally are 2 formal nights, 1 smart casual and remaining 4 are casual. The Royal Caribbean dress code applies to the MDR & specialty dining venues only. The buffet is casual dining venue each night. Celebrity Cruises have a similarly relaxed Evening Chic (instead of formal) dress code in the MDR on certain nights, remaining evenings being all smart casual. Same applies to MSC, their Gala evenings are a low key affair – if you choose so. NCL, however, are all casual every night in every venue and that suits some. Some of the ultra-luxury cruises are casual all the way as well – do check before you travel. And if you choose not to bring whatever the ship considers formal wear, know you may need to dine in the buffet that evening. But you may prefer that anyway? The majority of cruise lines have some kind of tipping system in place. Some call it a gratuity, others are more transparent and call it a hotel or service charge as that is what it really is – not an optional extra tip but a charge for services. 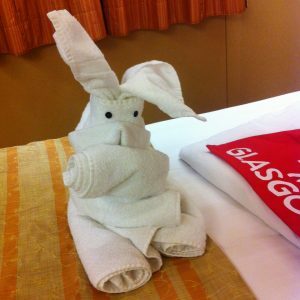 This expected tipping on cruises is something our American cousins are used to but British cruisers tend to complain about it on every cruise forum I have ever been on. The fact is that ship crew are low paid and rely on tips to supplement their income. This daily charge is expected to cover tips for your cabin attendant plus the dining room staff who serve you during your holiday. They work very hard for it, 11-12h days, 7 days a week for the length of their 6-9 month contract. They get paid next to nothing and rely on our ‘tips’ to make up the difference of the basic and the possible advertised OTE pay. Most cruise lines apply this charge (per person per day) to the onboard account to be settled at the end of the holiday. For examples of daily gratuity, at the time of writing this (July’17) P&O charge £6 for adults, MSC in Europe charge 9EUR, Royal Caribbean charges a minimum of 13.50USD per day in a standard cabin (suite guests pay more). Children pay this gratuity too, just less. Royal Caribbean and Celebrity allow you to pre-pay it in advance so that you know at the end of the actual holiday your account balance can be zero. That is if you don’t make any other onboard purchases. Many cruise lines will allow you to remove the daily charge by going to the Guest Relations desk. You are then expected pay the tips directly in cash in envelopes to the crew who have served you during the week. I find this cash-in-envelope business troublesome and quite embarrassing too. The automatic charge is divided among the people who do serve you the most – so why bother with envelopes. Then give a real tip, if a tip is due. Know your cruise line and what they charge as a gratuity – if any. Again, on some ultra-luxury cruises, all gratuities are included in the initial cruise fare. In a similar fashion, because Brits hate tipping, Thomson has the service charge built into the cruise cost. Recently some NCL ships are also operating on this AI principle of not just drinks but gratuities are also included – fares are notably higher, naturally. Royal Caribbean Australia also included the gratuity into the cruise fare in late 2016. But for the majority of cruises, an additional payment on top of the cruise fare for services is expected. Sometimes your travel agent (or the cruise line) may have a promotion on where they will comp the gratuity for you. Whichever is the case, know what the gratuity is and don’t be a cheapskate. If you can afford to cruise, you can afford to pay for the service you receive. And note, that most purchases onboard be it drinks or spa treatment, will have an additional tip added to your account, usually 15-18% American style. Drinks packages are different though – you pay the automatic gratuity on the daily package charge, not per drink obtained. We usually pre-pay our gratuity when we can but also take advantage of the tip envelope on occasion. If our cabin attendant is attentive, friendly and does anything outside his or her usual duties (fetches extra hangers, or a wine cooler bucket & ice on request etc) we will tip them more. A Little bit of cash in hand there and then, or at the end of the cruise in an envelope. Last August we tipped our Food & Beverage Manager in the MDR too, as he looked after us so well and ensured epic 3-5 course vegan dinners each night. I know a thank you card and chocolates may be a nice gesture but if it was me – I know what I would prefer to receive. Interestingly, I must add, that even though MSC have a daily service charge per person and gratuity on purchases, they actively discourage cash-in-hand tipping. There is lots more to share about extra options onboard – but that will be another post. 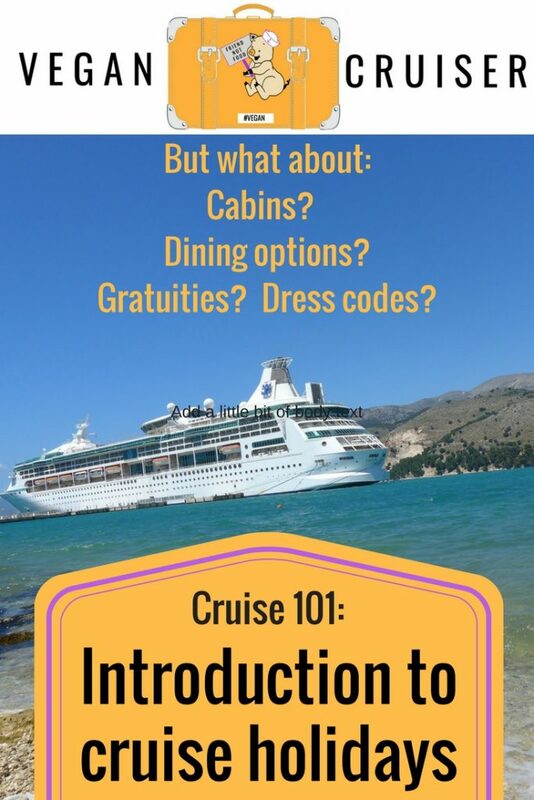 Hope you found this a helpful introduction to cruise holidays and not too confusing. Next post on this new introductory series will be on selecting your cabin/deck and what to consider if you’re going on your first cruise. Not all insides are the same – neither do they cost the same. Come back to learn more! Loved this! As you know I’m getting more and more interested in trying a cruise and reading an overview of the basics amd how different companies handle them, really helps! !